Imagine dining at a five-star restaurant: you are torn between filet mignon and the lobster tail. The choice is difficult – but you can take solace in the knowledge that no matter what decision you make, you will enjoy a superb meal. Sometimes, choices are made more difficult because both options are wonderful: such is the case with the Porsche 911 Carrera S and the Aston martin V8 Vantage. You cannot go wrong with either – but can you go a little more right with one? Both vehicles are gorgeous, both have serious horsepower under the hood, and both are the type of vehicle that anybody would be thrilled to drive. How, then, do you decide? Which luxury model makes the cut? Do you go to a Porsche dealership or look for an Aston Martin? Let’s see if we can answer your questions. While the engines differ, both models perform comparably in terms of horsepower, torque, top speed, and acceleration. In this case, more subjective factors – like style – can help make the right decision. Aston Martin’s vehicles have a distinctly British aesthetic. Surprisingly to many auto aficionados is that the V8 Vantage appears a bit more “Americanized” than many of the brand’s other models. For some, this detracts from their enjoyment: they can’t see James Bond sliding behind the wheel. At the same time, though, the Aston Martin features a lush interior and a sporty appeal, thanks in part of the deep bucket seats. 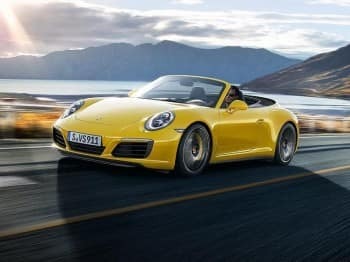 The Porsche 911 Carrera S exudes a much more European feel. The headlights are more pronounced and the tear-dropped shape sets it apart from the Aston Martin V8 Vantage. It is easy to envision yourself racing around the Italian countryside or the twisting Alps in this sleek machine. The interior of the 911 Carrera isn’t quite as sporty as the Aston Martin. 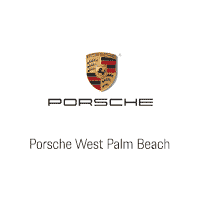 The designers of the Porsche have prioritized luxury and comfort over a more pronounced racing style. When you climb inside the 911 Carrera and the V8 Vantage, you’ll easily feel the difference between them. The 911 has a cozy, intimate appeal that the V8 lacks. It hugs the road beautifully, and you can immediately feel how responsive the vehicle is beneath your hands. Any slight change in pressure will affect the drive, which is something that you want in a sports car. The Aston Martin offers a different experience – for some, it may even be preferable.. The Vantage wants to race down a track and execute a number of hard laps. It wants to fly down straightaways. It’s a great car for an open road, but not necessarily the type of vehicle that is ideally suited to winding or narrow roads. That’s not to say that it isn’t fun to drive, just that it might not be the right fit if you want a vehicle that’s extremely responsive and tends to hug the road masterfully. Again, there’s no wrong choice between the Porsche 911 Carrera S and the Aston Martin V8 Vantage. You decision depends on which car most appeals to you and fulfills your vision of the “dream” car. Visit a trusted Porsche dealership to get behind the wheel of the 911 Carrera S to see if it’s the right option to fit your lifestyle.